Lt. Gov. Anthony Brown made it official Friday, and announced he was running for governor at Prince George’s Community College. He was introduced by Congresswoman Donna Edwards and his wife Karmen. Here’s a five-minute video of Edwards’ introduction and Brown’s speech to a large crowd estimated at over 1,000. The video is hosted by Len Lazarick of MarylandReporter.com and produced by Patrick Heflin of MoCoVox. 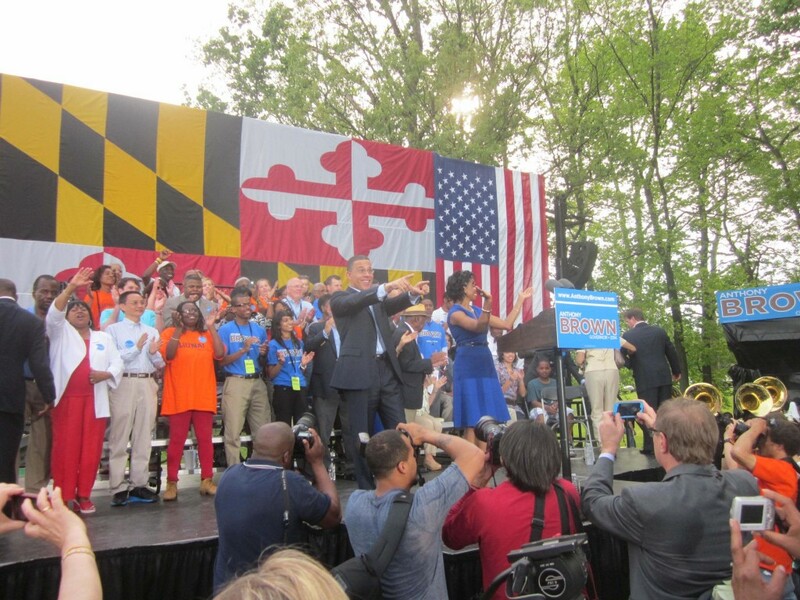 Here’s the full text of Brown’s speech, and links to articles about the event by Michael Dresser of the Baltimore Sun and Aaron Davis of The Washington Post. Lt. Gov. 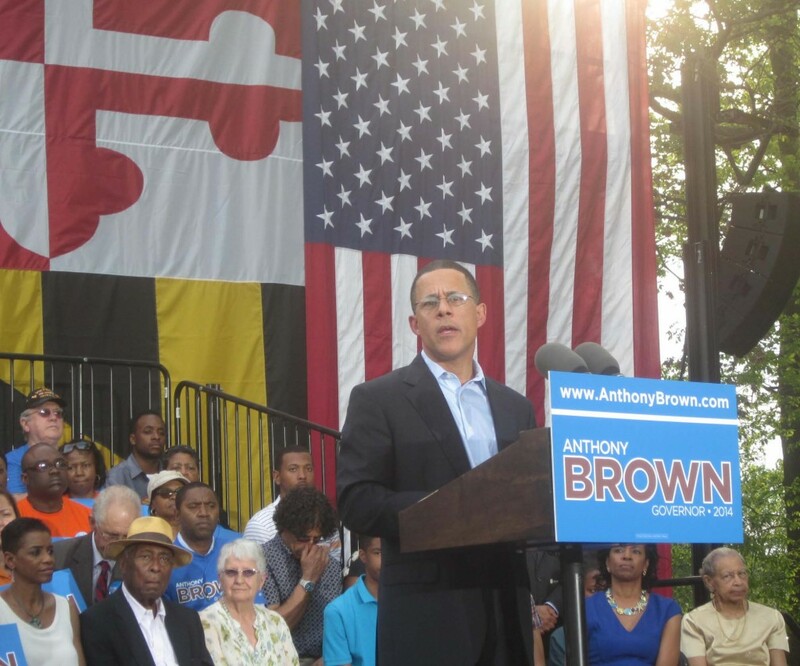 Anthony Brown announces run for governor. To his left are his parents: father Roy Brown in hat and mother Lilly Brown with Congresswoman Donna Edwards to the far left. Lt. Gov. Anthony Brown and wife Karmen on stage at Prince George’s Community College.